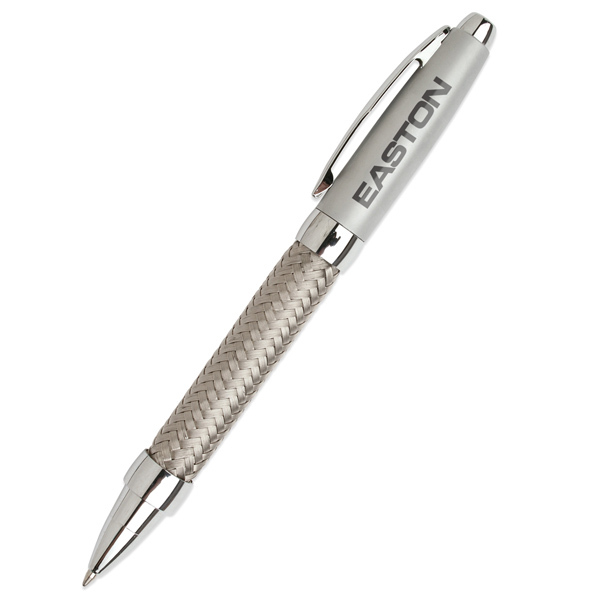 Promotional Basketweave Ballpoint Pen, a sophisticated design for the discerning client. A beautiful combination of brass and steel with a twist-action mechanism and woven detail on the barrel. Gift Box / 35 lbs / 300 pcs. / 10 x 16 x 14box.